Join us for the 6th Biennial Symposium of the Grant Wood Art Colony on September 29th at the University of Iowa, Art Building West, in Iowa City where Michael LeClere, of MGA, will be presenting and participating in a panel discussion on this subject. This year’s symposium theme is: Art in Public. This post is a short preview of his presentation. There is an artificial disconnect that is doing our communities a great injustice between the what, where, how, and who we are that form our identity and how we represent and express those values within our built environments. Too often art is viewed as a luxury or accessory addition to many planning and building projects provided only under the condition of a budget surplus, and too often these are the first things cut in value engineering. Much more rarely is art seen, and planned for, as an integral component to Placemaking, infrastructure, and community and economic development. Through this limited lens, art inherits a strict socio-economic bias: Simply put, Art becomes a thing for rich people. The role of art in our communities and neighborhoods is a fundamental component to the health, vitality, and sustainability of local economies. Art is neither blue-collar or white-collar. Often overlooked are the ways in which art can help stimulate local economies, attract patrons to neighborhood districts and businesses, or highlight and promote industry, manufacturing, and the trades. In some cases, the tools, products, or by-products of industry and manufacturing even become art in and of themselves. Gasworks Park in Seattle, Washington is a 19.1-acre site that was the former Seattle Gas Light Company’s coal gasification plant. The plant operated from 1906 to 1956, and in 1975 opened up to the public as a city park but maintained numerous industrial relics from the old plant as features of the park. The park now serves as a cultural icon for the City of Seattle, and serves the public with picnic spaces, art and performance spaces, play areas, scenic viewing areas, and connections to existing trail systems. It is important to note that examples such as these are not relegated only to defunct industries or abandoned and repurposed sites. Granville Island in Vancouver, British Columbia was an industrial site throughout WWII. Today however, it is a bustling urban attraction complete with farmers markets, galleries, artisan shops, theatres, restaurants, and the Emily Carr University of Art and Design, but in the heart of the island there still exists a working concrete plant. 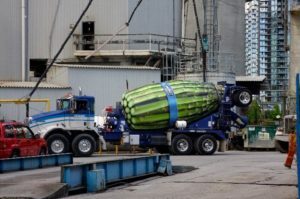 The concrete plant has a fleet of cement trucks that continually navigate in and out of the island, but the barrels of the trucks have been painted as melons, strawberries, asparagus, and decorated with other artistic motifs. In this way the island is branded, the history of the island is highlighted and revered, and the industry of the cement plant within a busy urban setting is not only tolerated but it is welcomed and enjoyed by visitors and residents alike. Whereas traditional planning strategies would be to relocate industry to the outskirts of the urban core, redevelop the site, and lastly add amenities and artistic embellishments, this example demonstrates how art and industry can easily form creative partnerships that both promote and retain local industry and manufacturing while enhancing public space and the local economy. Overall, the island is home to 275 businesses and facilities that employ more than 2,500 people and generates more than $215-million in economic activity each year. Interventions such as these break down barriers and cross boundaries. They are simultaneously celebrations of art, architecture, design, history, industry, people, culture, and place. They can happen in large urban areas, and they can happen in small rural communities. When they are created well and thoughtfully they attract people, families, and businesses and help establish a sense of place. Initiatives such as these need to be integral in our planning, building, and developing. Locally, we need to seize the opportunities around us like Quaker Oats, the Marion King’s Materials towers on 6th Ave, or the now demolished Nash Finch towers on Blairs Ferry Rd in Cedar Rapids rather than having our default be to demolish them and start development with a clean slate. Once these artifacts, symbols of our heritage, and connections to our local past are destroyed they will never return. It is not enough to simply ask: what could be here. It is ultimately equally important to consider: what was here, as those two questions together tell the story of who we are and what we can become. Dale, Melissa Rae. “Kenworth Cement Mixer Truck.” Wikimedia Commons, Flickr, Vancouver B.C., 31 Dec. 2010, Available at: https://commons.wikimedia.org/wiki/File:Kenworth_cement_mixer_truck.jpg [Accessed 26 Jul. 2018]. Granville Island Boat Yard, Canada CMHC-SCHL & Granville Island, [image] Available at: www.granvilleislandboatyard.com/wp-content/uploads/2014/11/Granville_map_Page_1.jpg. [Accessed 26 Jul. 2018]. “Iowa Living Roadways Community Visioning Program.” Iowa State University Extension and Outreach. 26 Jul. 2018. , Available at: https://www.extension.iastate.edu/communities/CommunityVisioning. [Accessed 26 Jul. 2018]. Naramore, Floyd. CBE Visual Resources Collection. 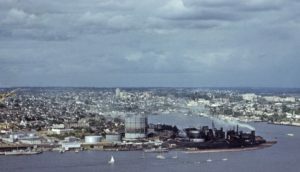 Gas Plant, Seattle 1950. [image]. Available at: https://uwpressblog.com/tag/gas-works-park/ [Accessed 26 Jul. 2018]. Richard Haag Associates (n,d.) Gas Works Park, Seattle, WA [image] Available at: https://tclf.org/landslides/gas-works-park-listed-national-register [Accessed 26, Jul. 2018]. Smith, Adrian . 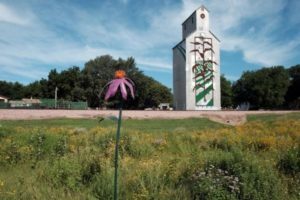 “Street Artist Turns A Town Of 100 People Into Tourist Attraction By Painting Mural On Old 30m Silos.” Bored Panda. [image]. 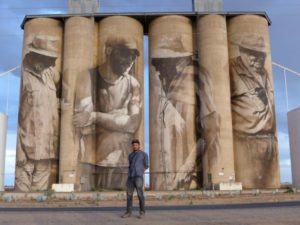 https://www.boredpanda.com/amazing-mural-30-metres-tall-silos-guido-van-helten-brim-australia/?utm_source=google&utm_medium=organic&utm_campaign=organic>. [Accessed 26 Jul. 2018]. Vancouver Historical Society (1971). Granville Island 1971. [image] Available at: http://www.vancouver-historical-society.ca/summaries_2011_2015.htm [Accessed 26 Jul. 2018].